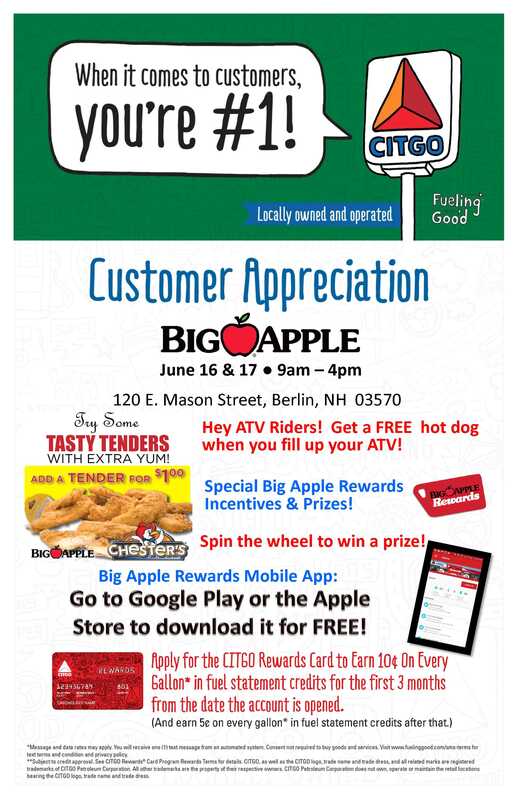 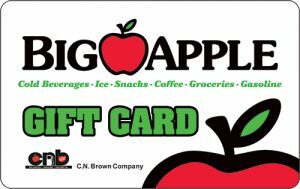 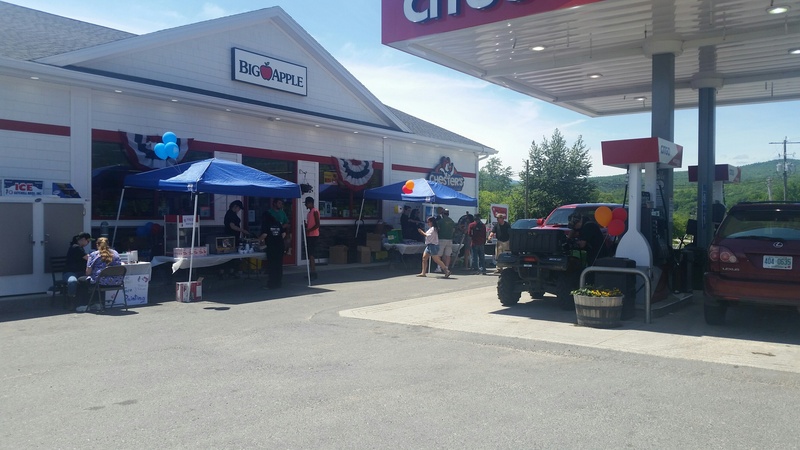 June 16 & 17, 2017, our Big Apple Store and CN Brown Heating Oil office in Berlin, NH hosted a Customer Appreciation Event. 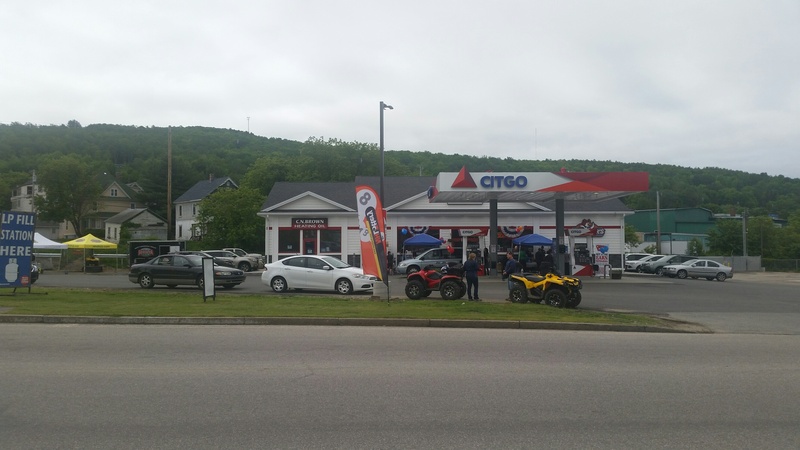 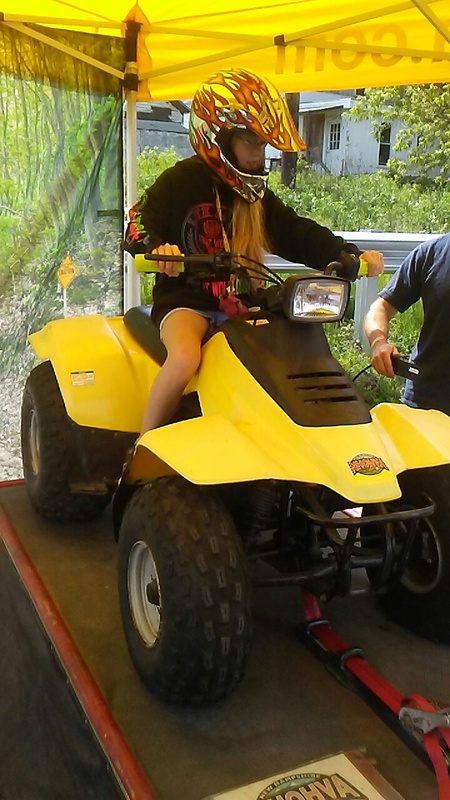 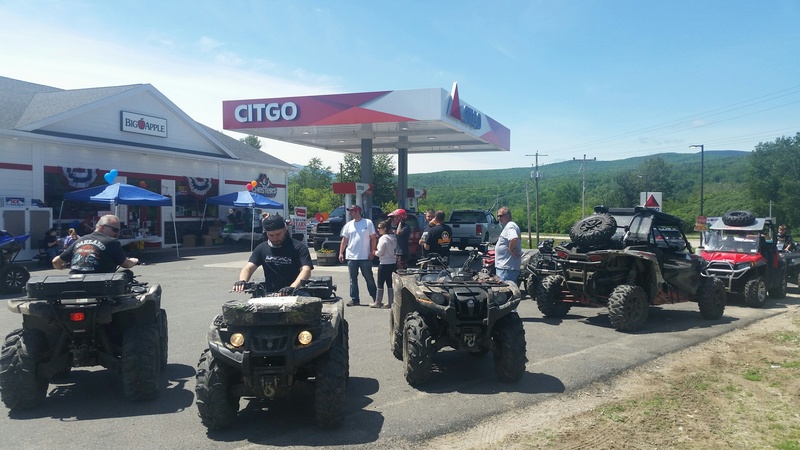 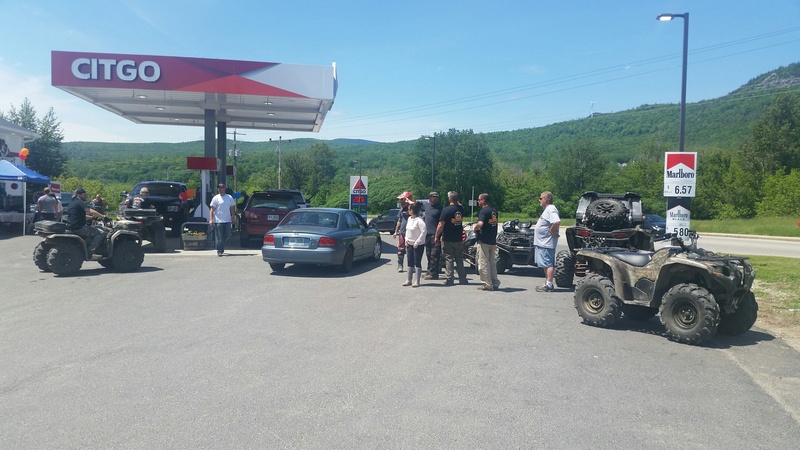 ATV Riders enjoyed a FREE hot dog with a fill up! 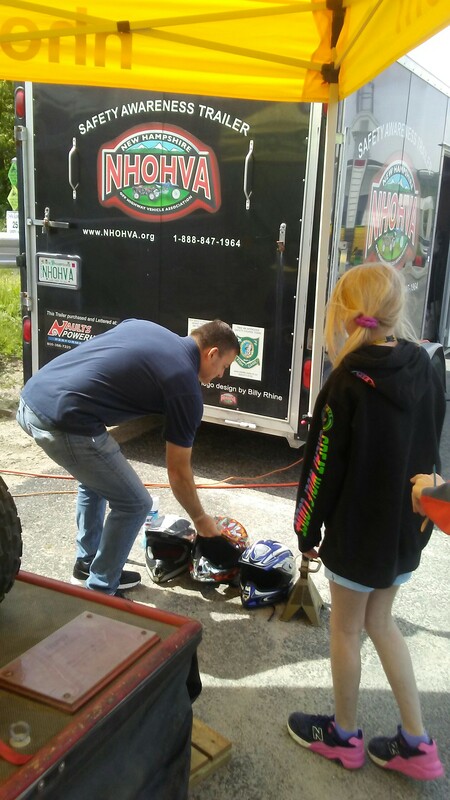 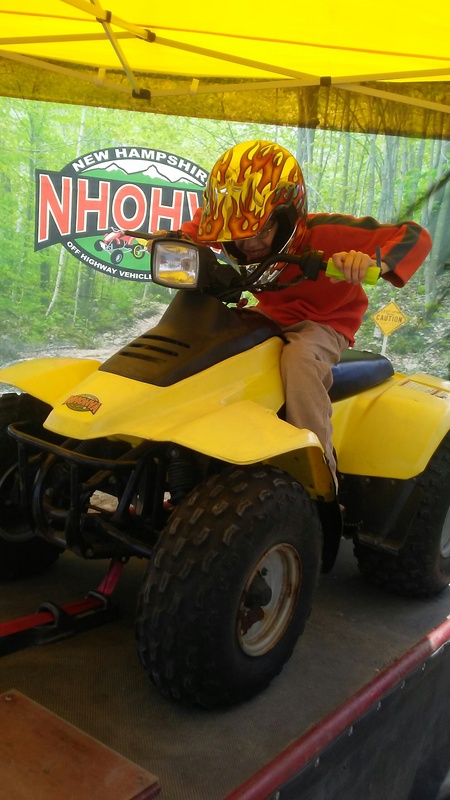 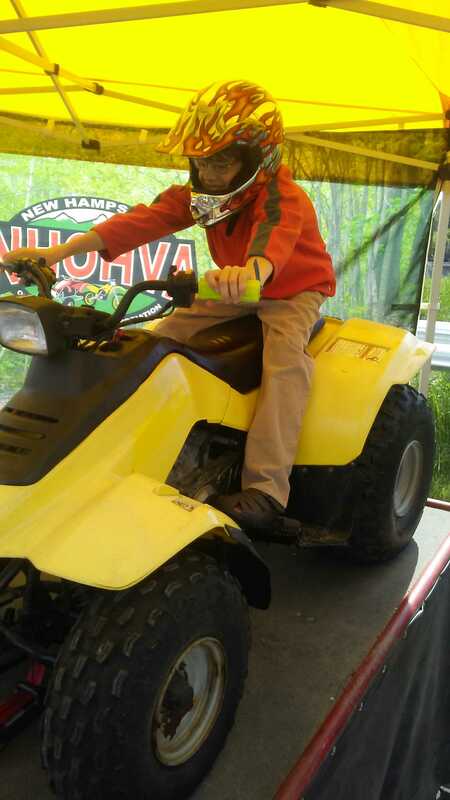 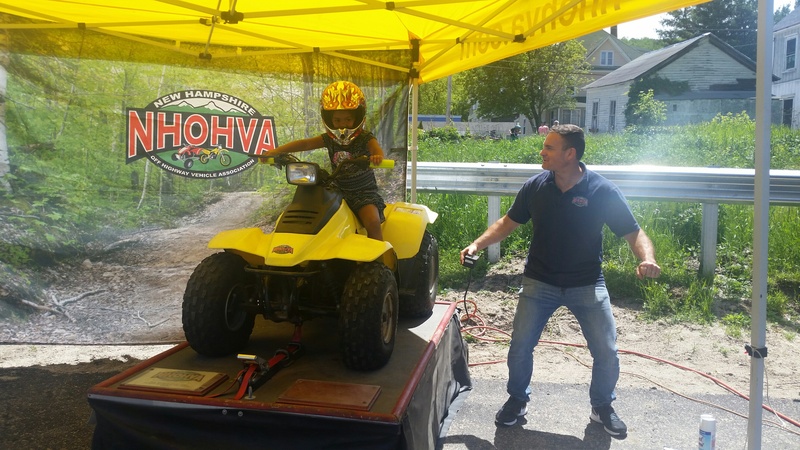 Special thanks to the Androscoggin Valley & Presidential OH ATV/RV Clubs for joining us at this years event! 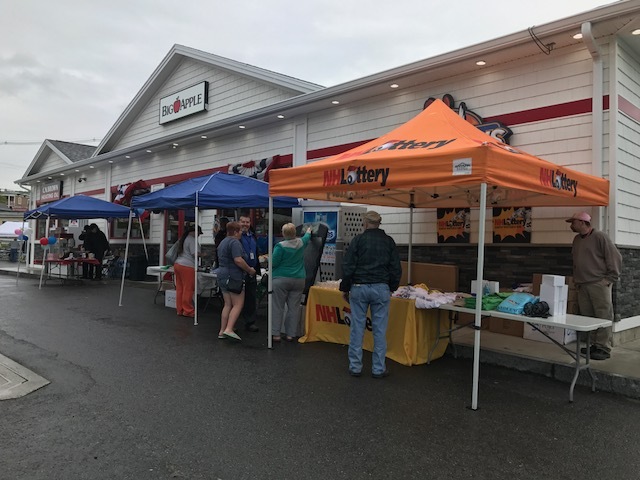 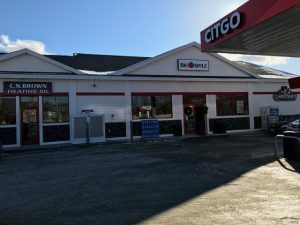 FREE popcorn was given away to all that attended and our prize wheel stayed in motion all day long giving away fun prizes from all our loyal vendors: CITGO, Budweiser, NH Lottery and several others. 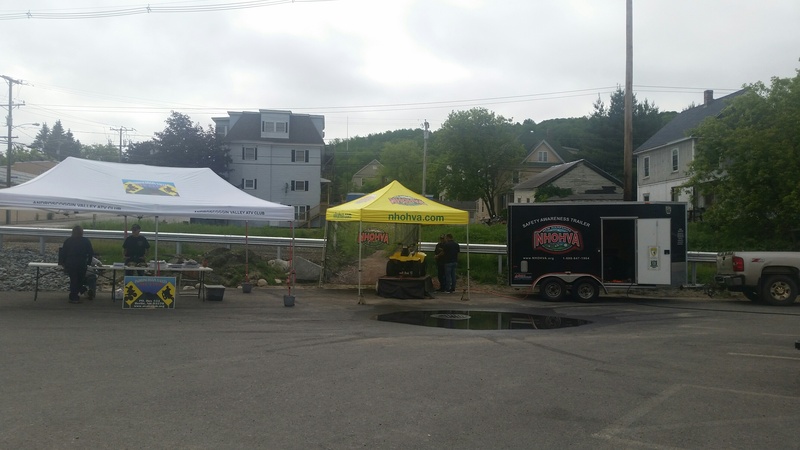 CN Brown Heating Oil gave away 100 gallons of heating oil to one lucky winner!